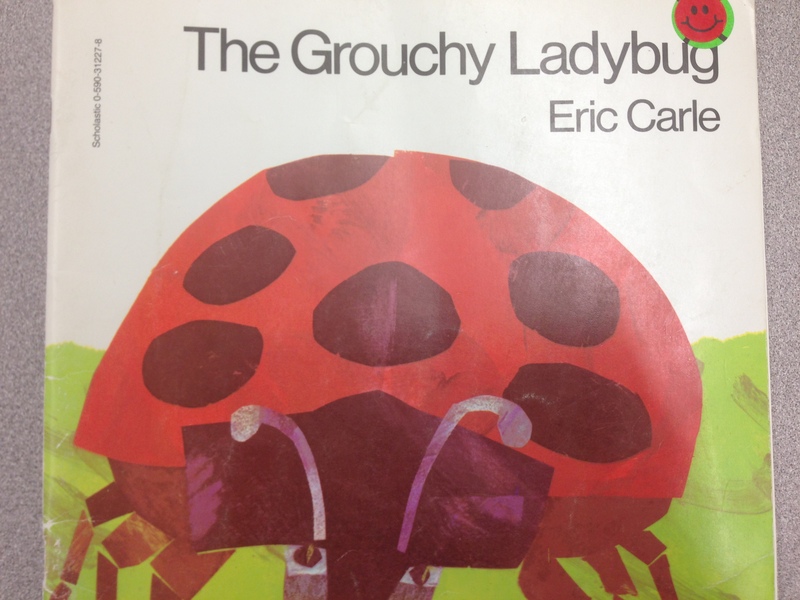 To finish off our spring unit we read The Grouchy Ladybug. 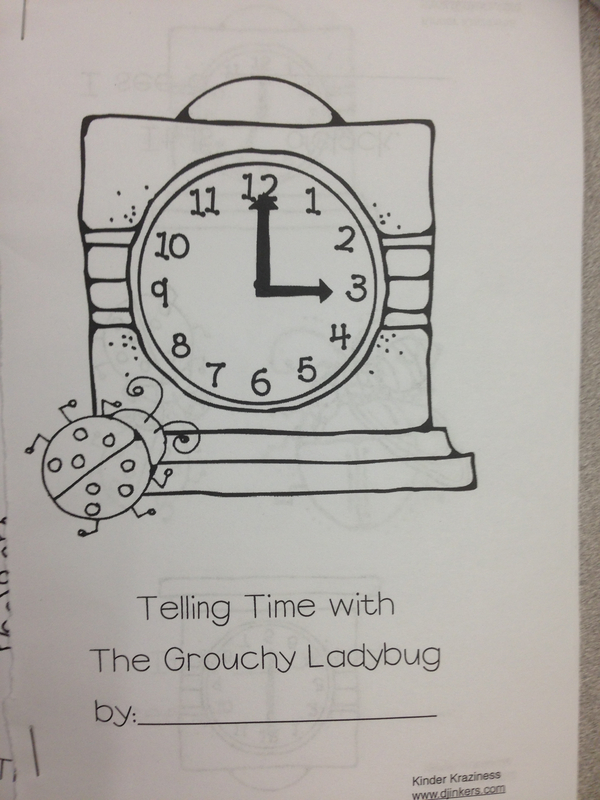 Since both Kindergarten and 1st Grade have been learning about time, we created a book on “Telling Time with the Grouchy Ladybug”, and made a sequence poster that showed what animals the grouchy ladybug wanted to fight at what time. 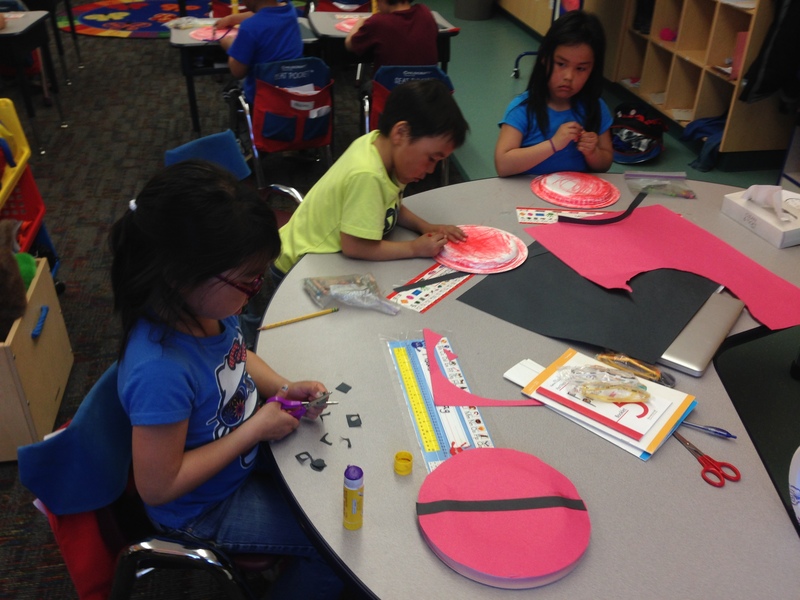 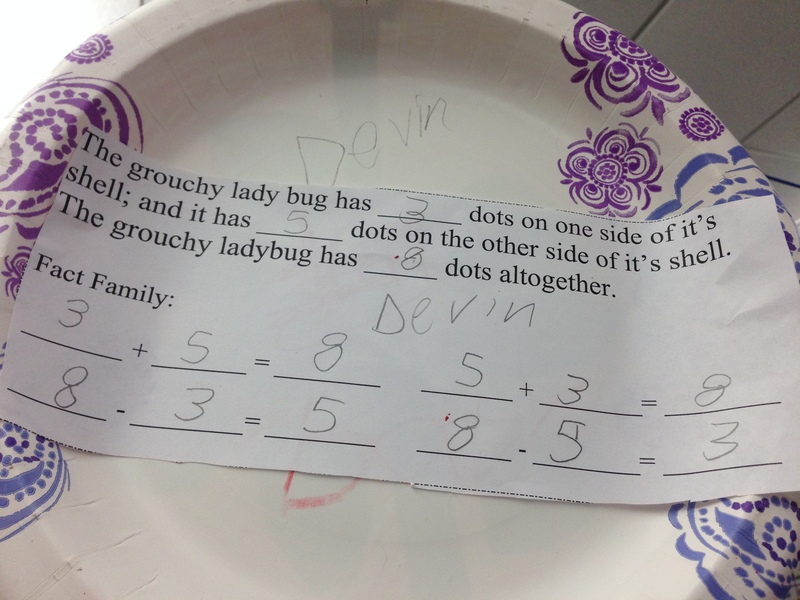 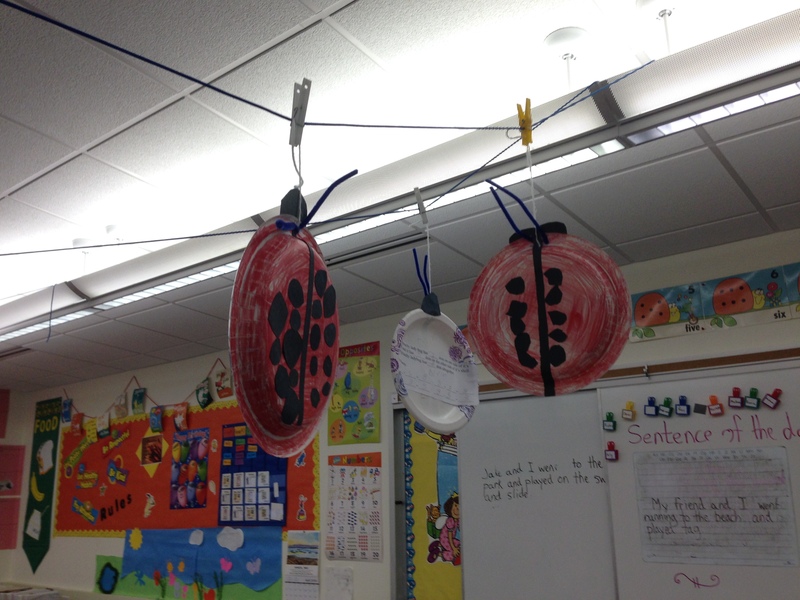 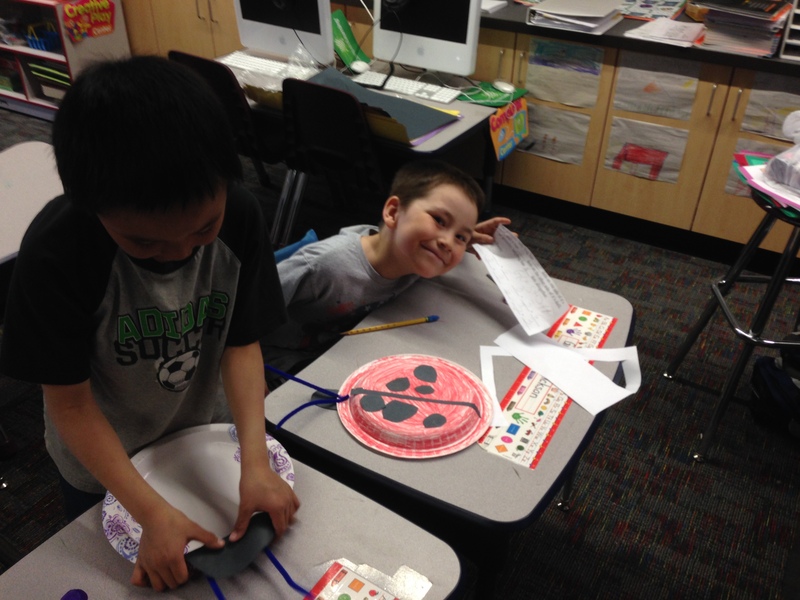 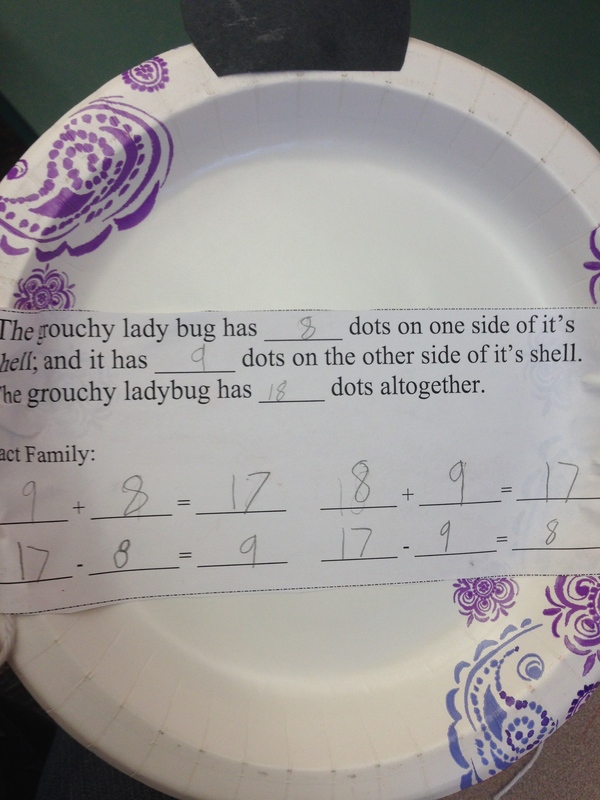 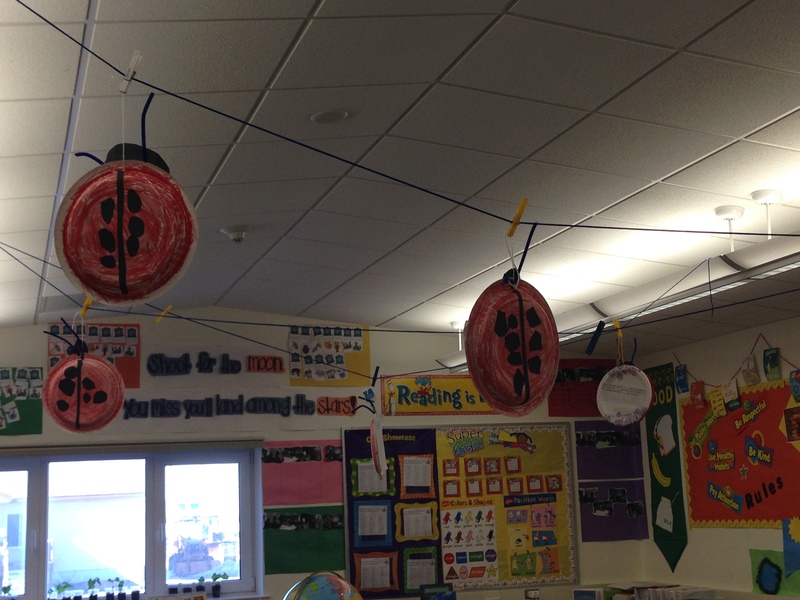 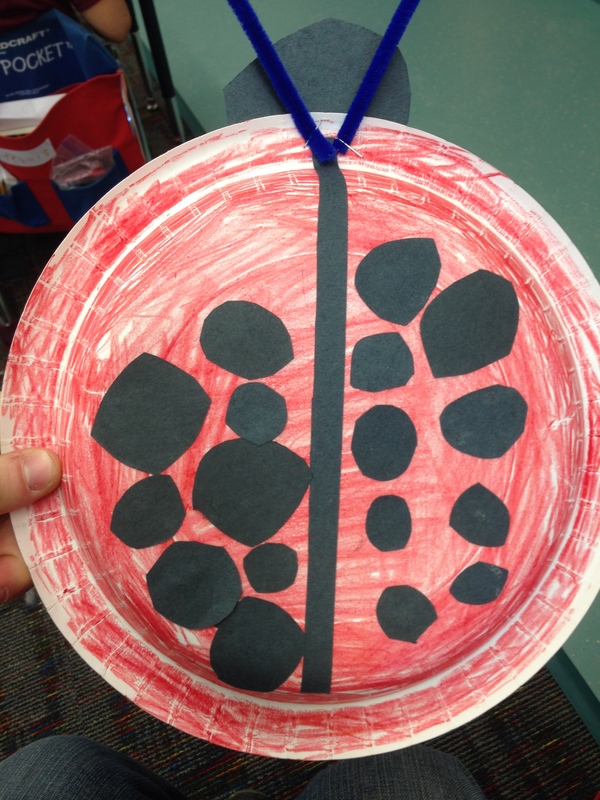 We also made ladybug paper plates with fact family story problems. 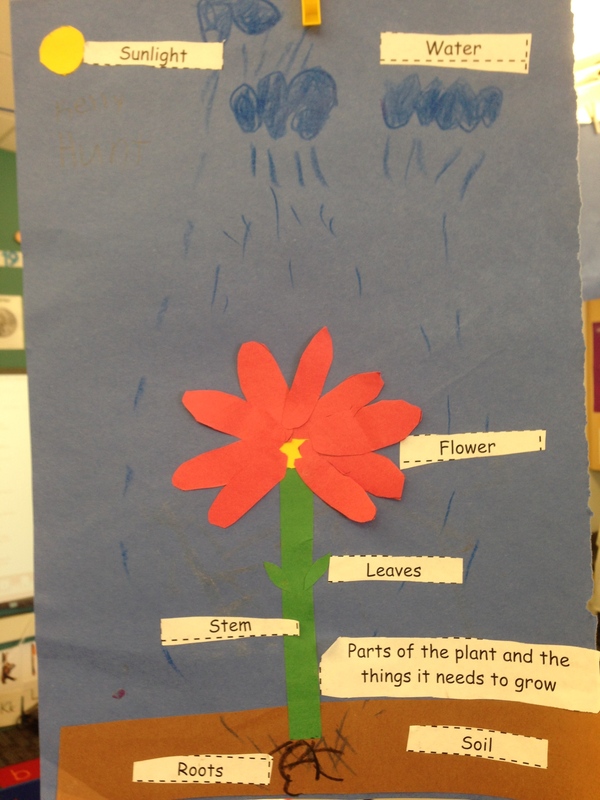 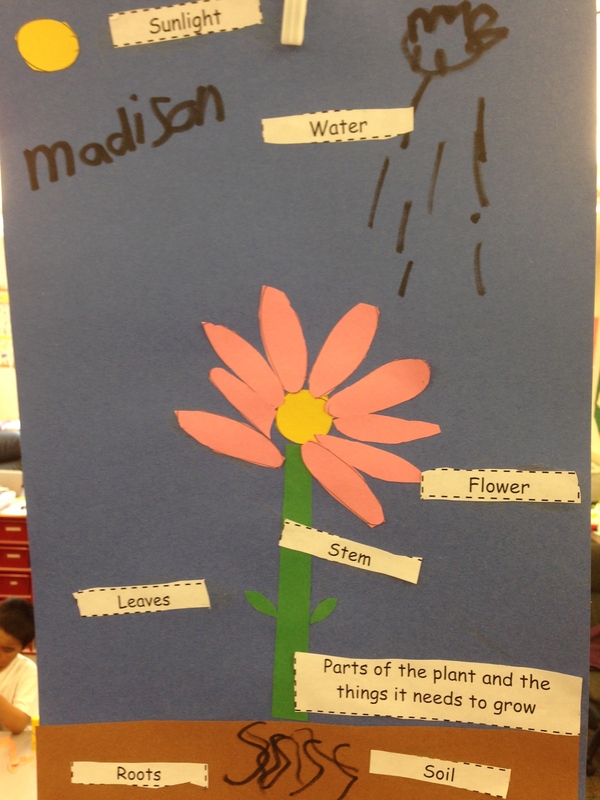 Continuing on with our spring unit we have been learning about parts of a plant and their needs. 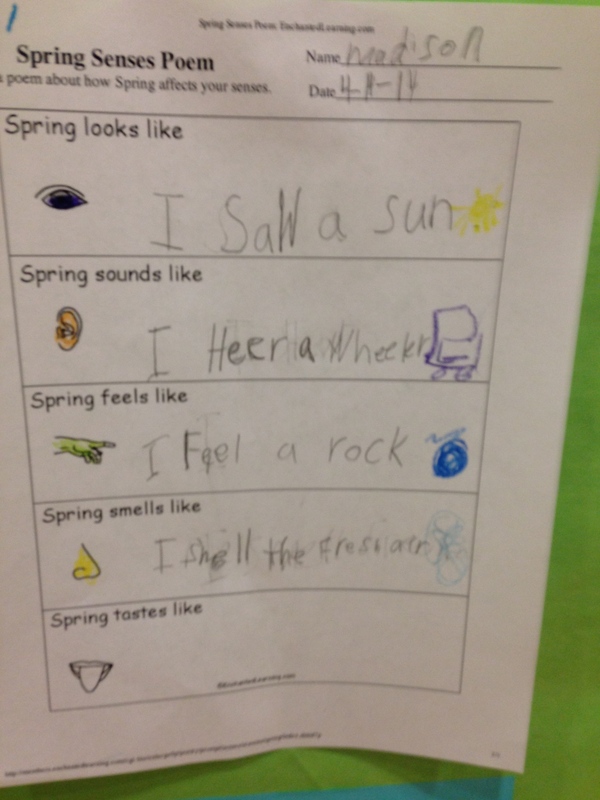 We learned a song, “Flower, Stem, Leaves, and Roots”, followed motions on our bodies pretending we were the plant and read a written copy of it. 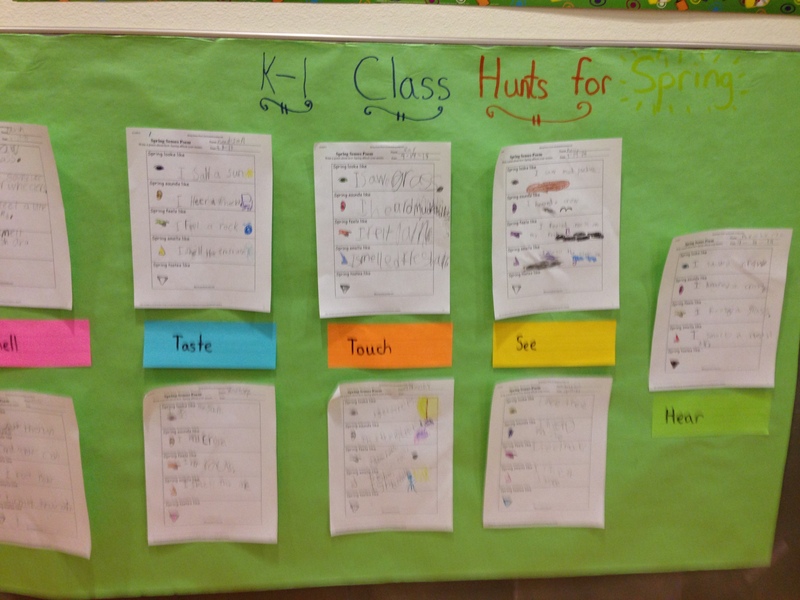 This was done to differentiate our reading comprehension to our learners that are more musically inclined, and kinesthetic learners . 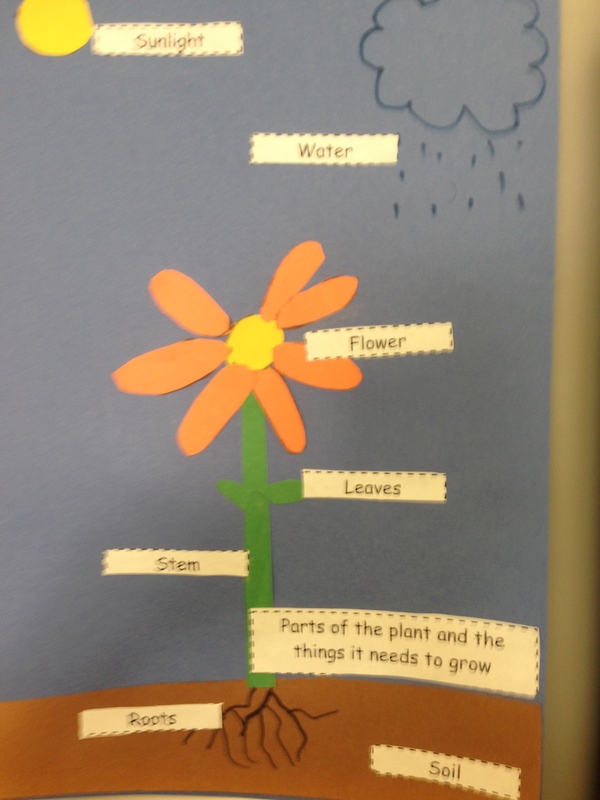 We then took what we learned from the song and the dance and created a diagram of a plant and labeled it’s parts and the things it needs to grow. 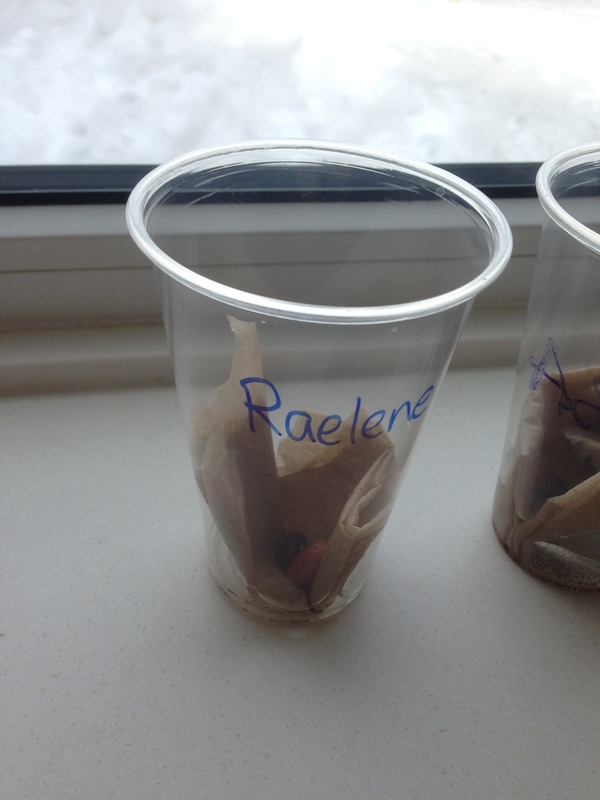 We then took beans and and put them in a little bit of water to see if we could get them to grow. 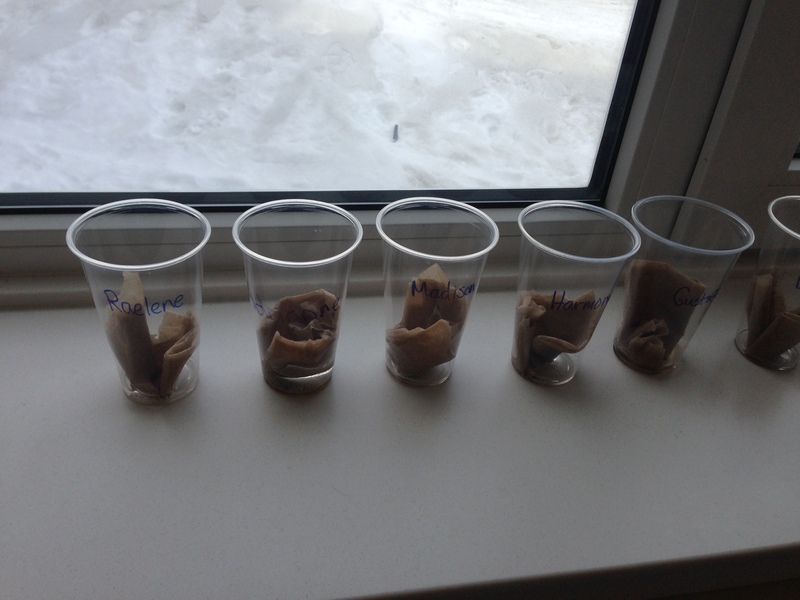 First we will just add a little water and put them in soil later once they’ve started to sprout a little bit. 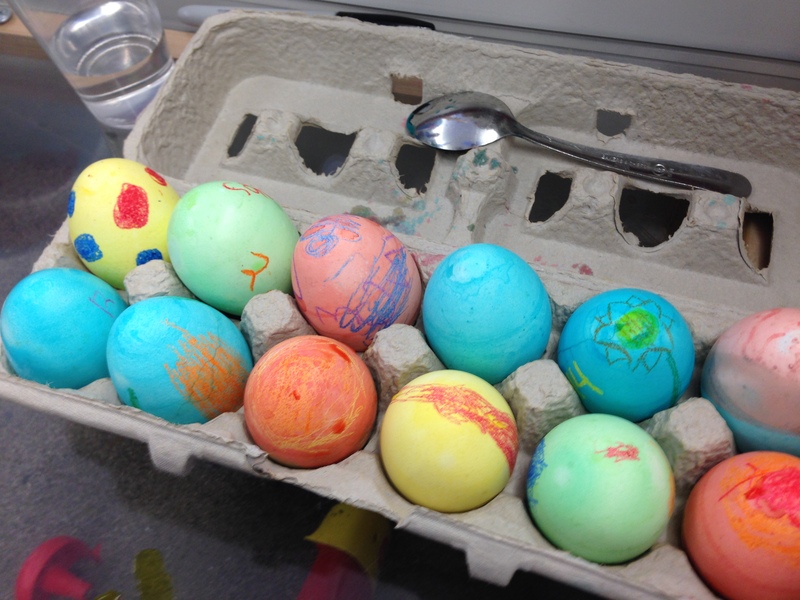 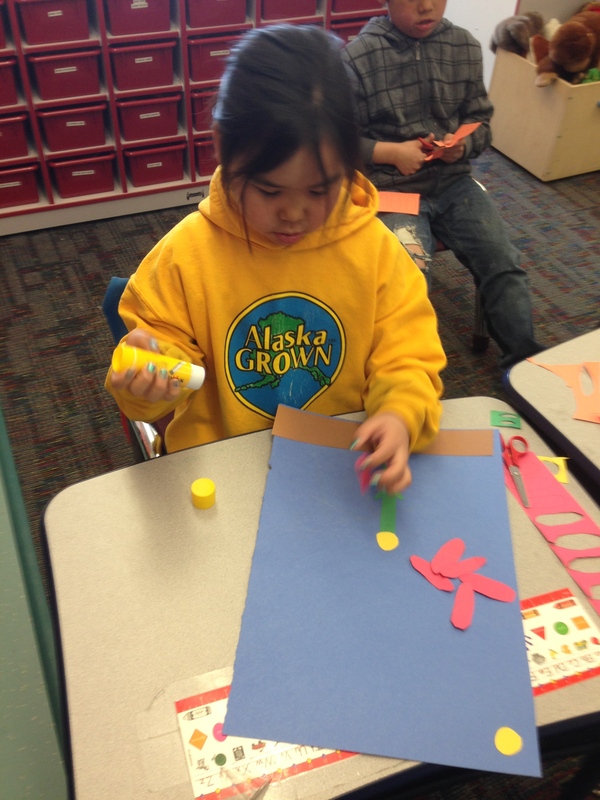 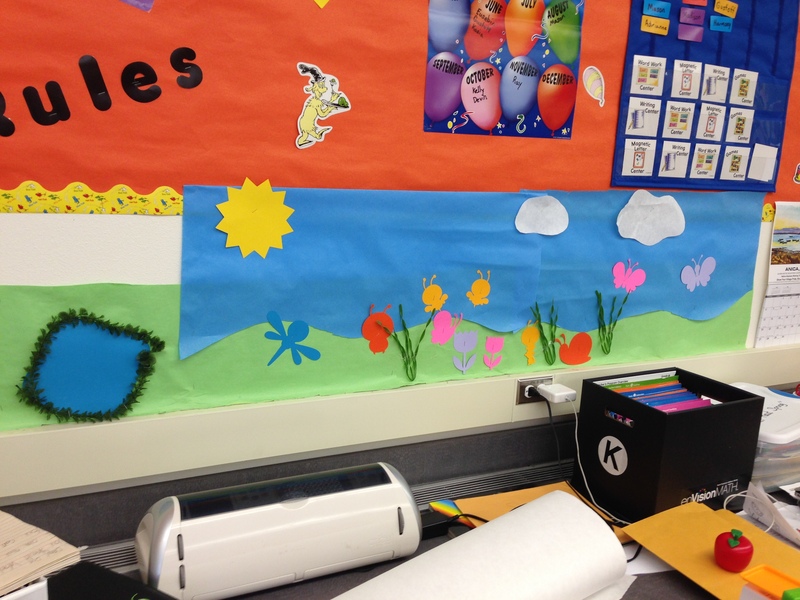 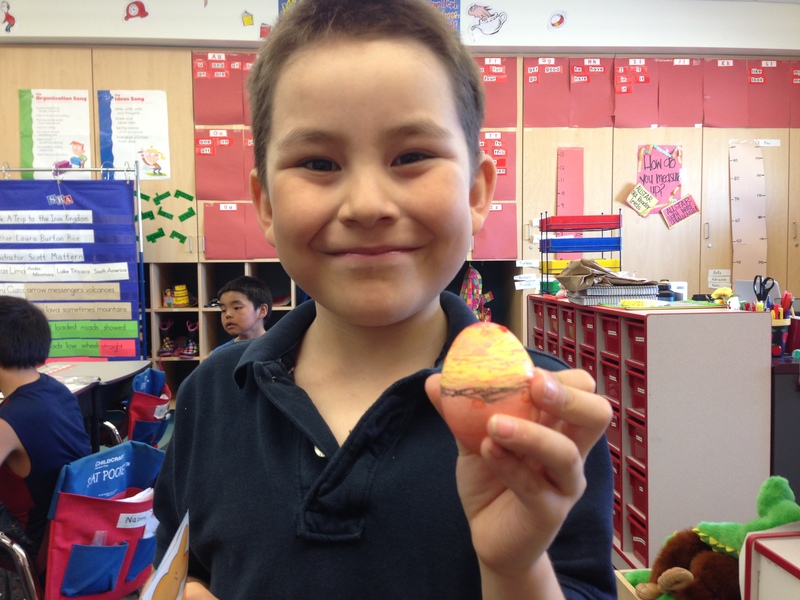 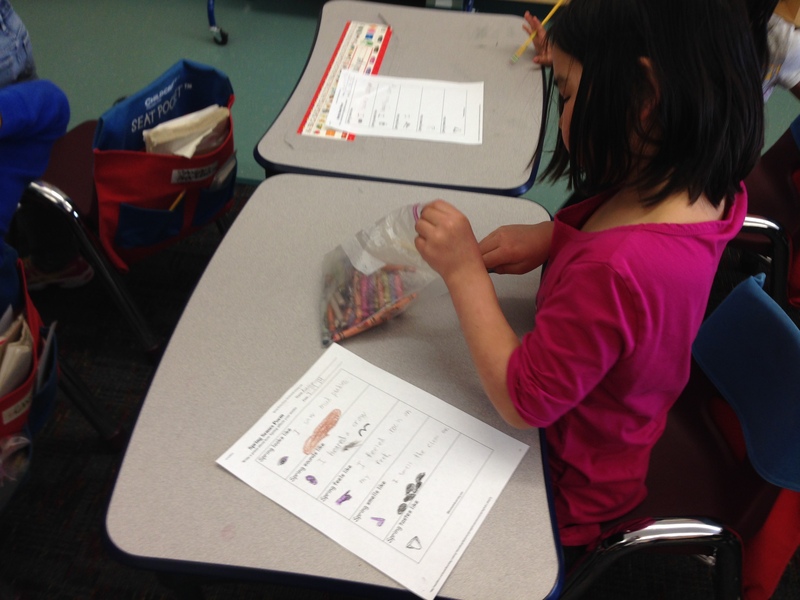 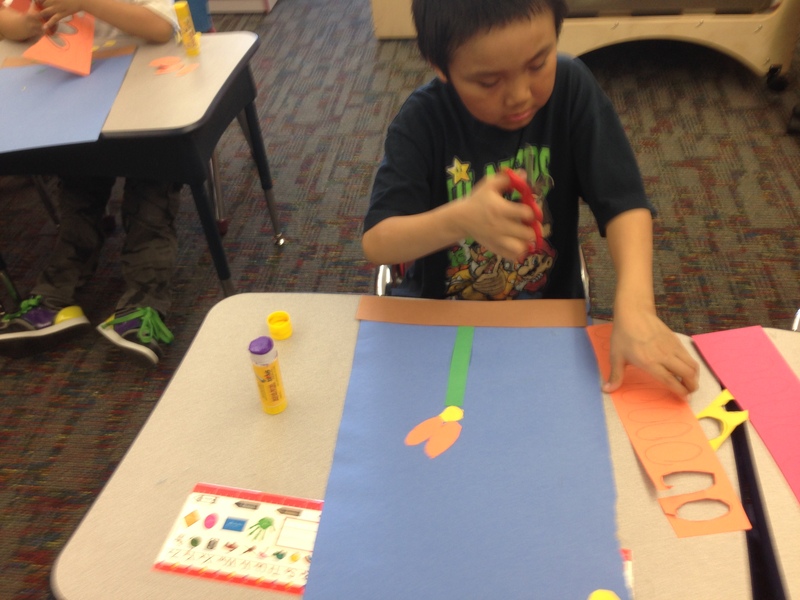 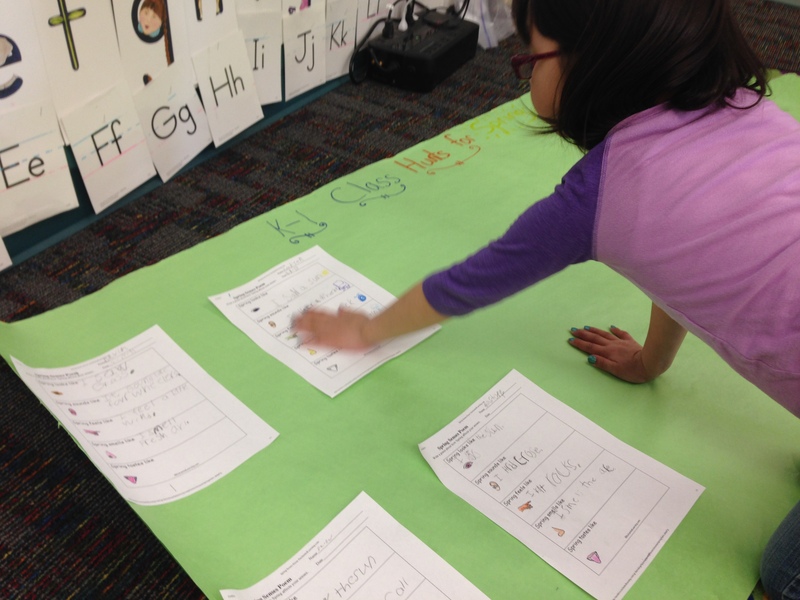 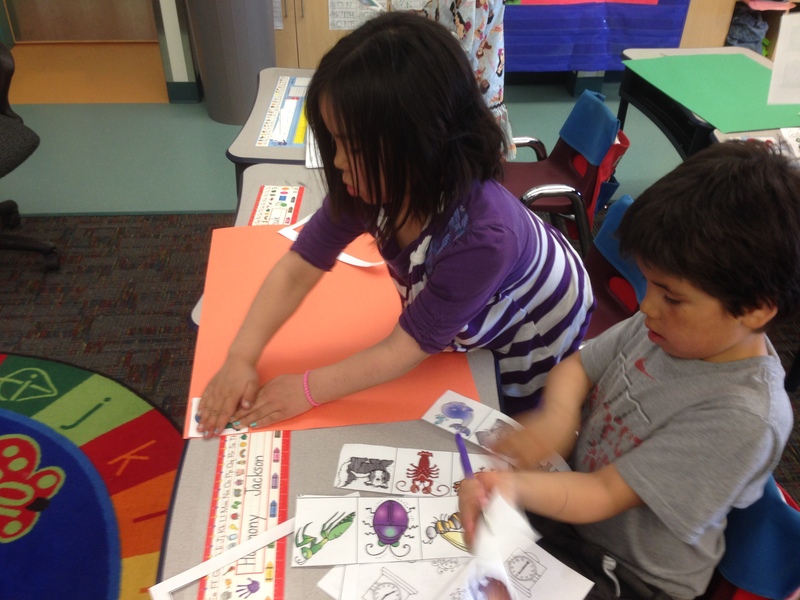 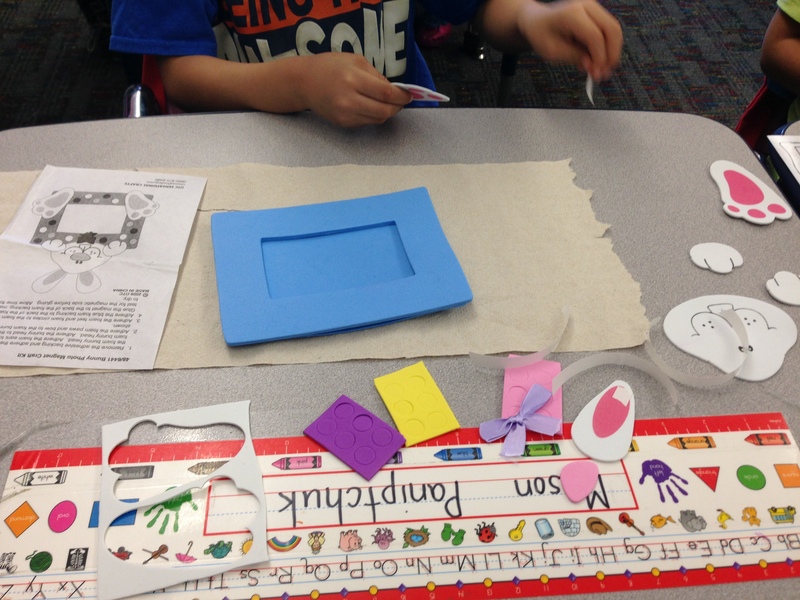 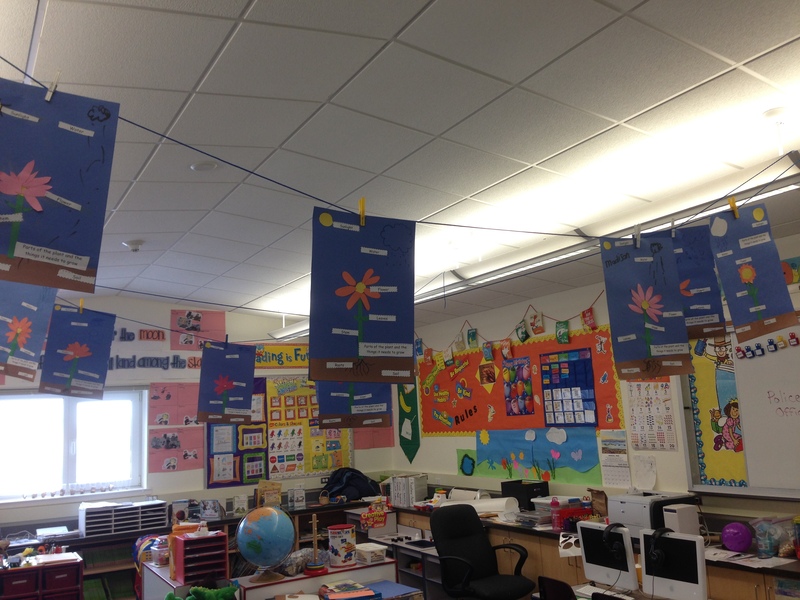 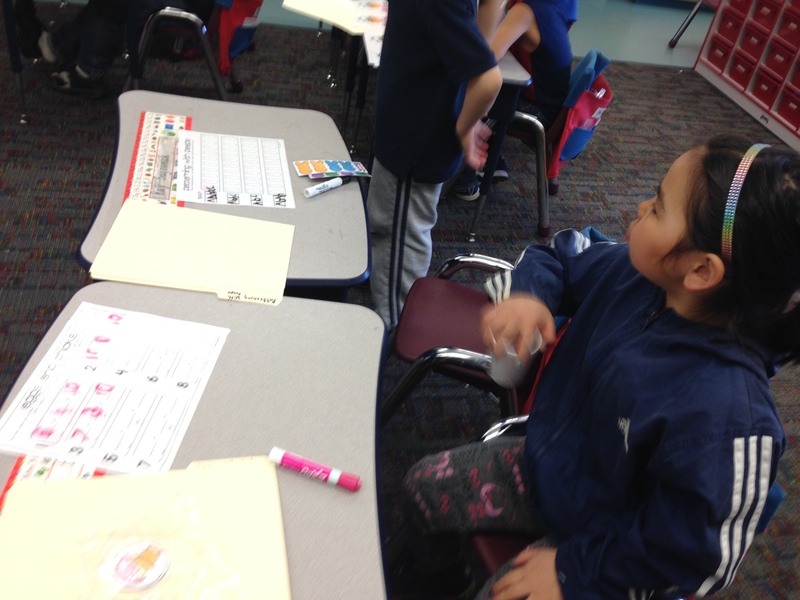 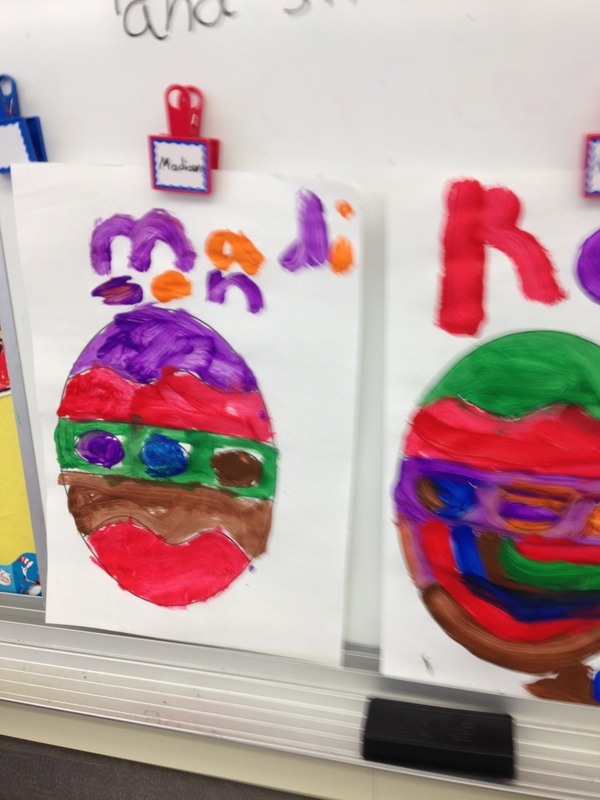 This last Friday the K-1 class had some spring and Easter activities to celebrate the upcoming holiday. 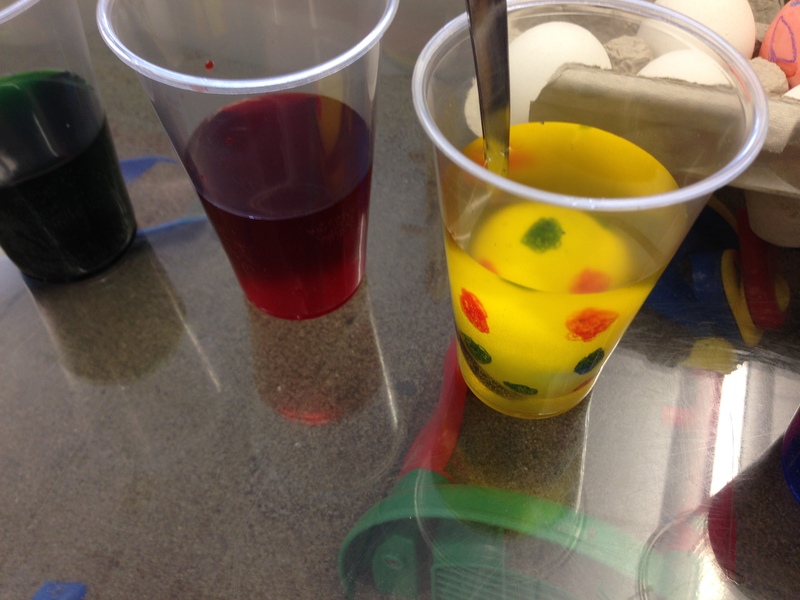 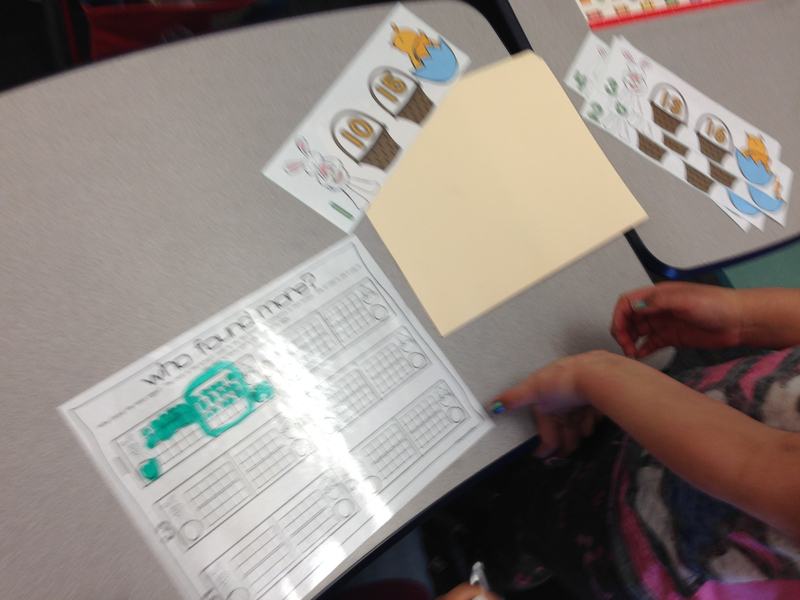 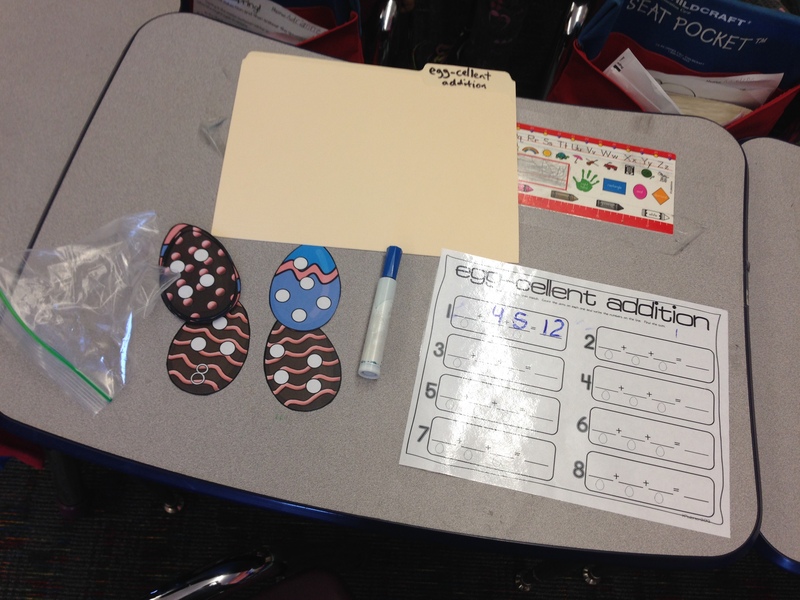 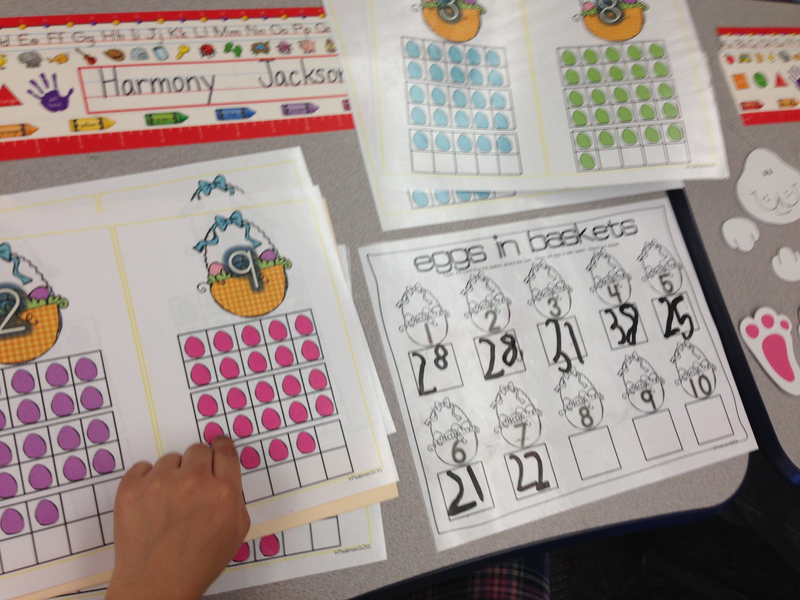 We dyed our own eggs, painted a picture of an easter egg, and did some math easter centers! 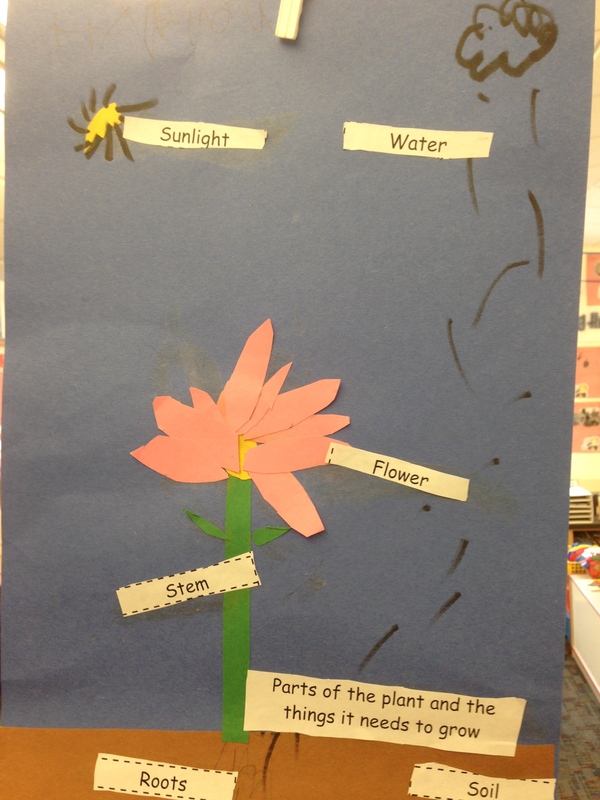 This week we have started our new unit “Buggy about Spring!”. 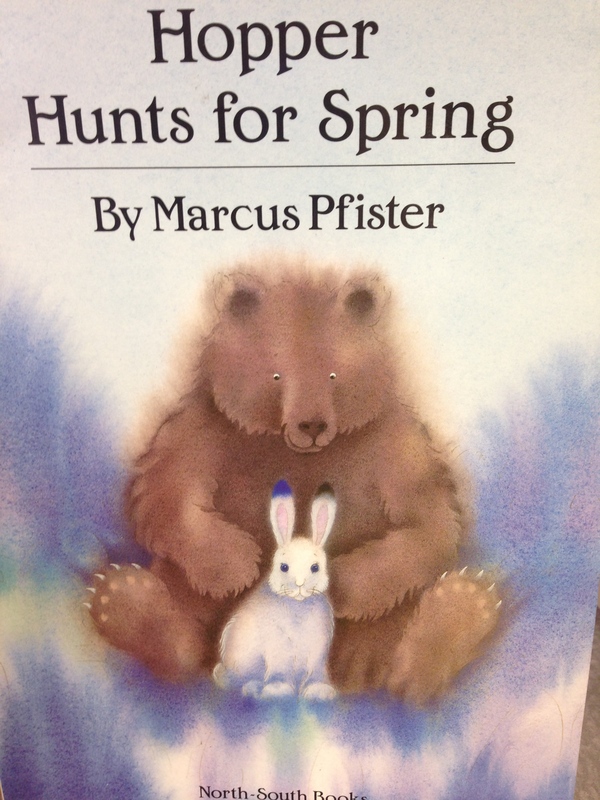 We started by reading the story Hopper Hunts for Spring and then we went on a nature walk to see if we could signs of spring. 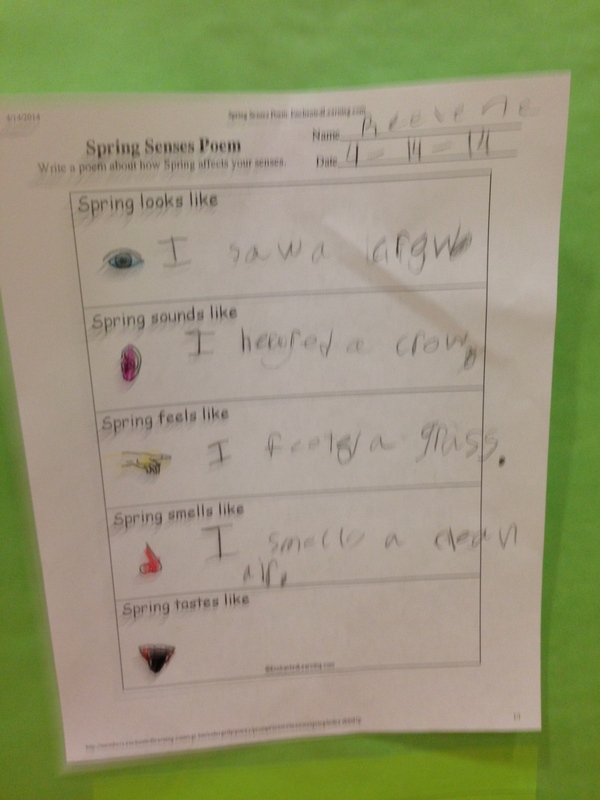 We saw snow melting, heard crows, felt rain falling, and smelled the fresh air. 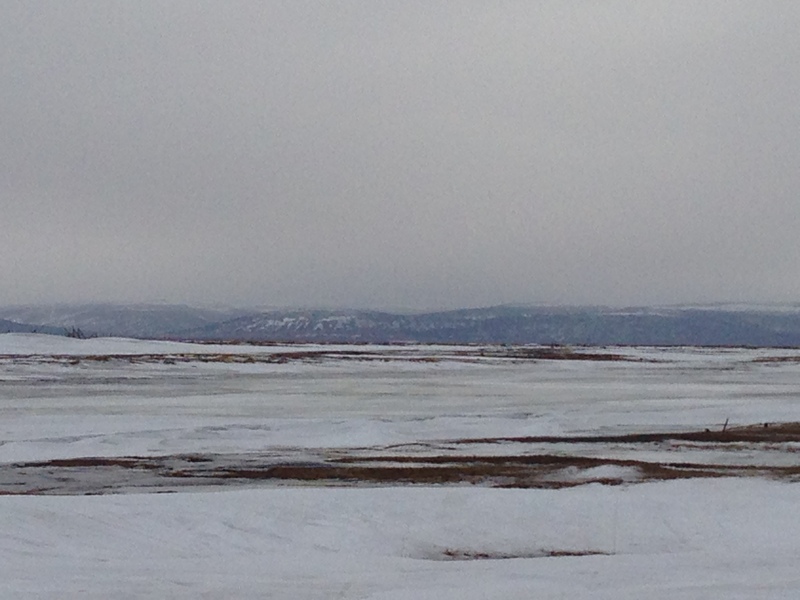 Because we live so close to the arctic circle, it takes longer for the snow to the melt. 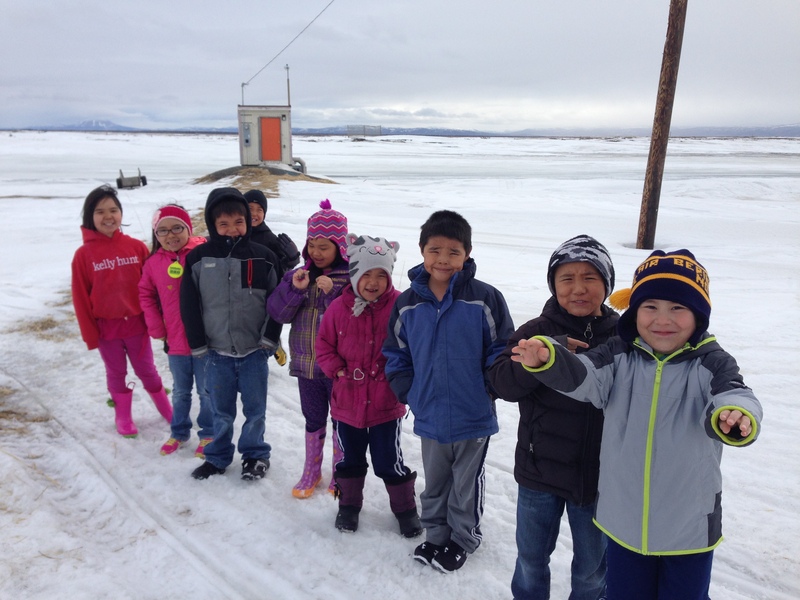 So our pictures of our spring looks more like winter in the lower 48. 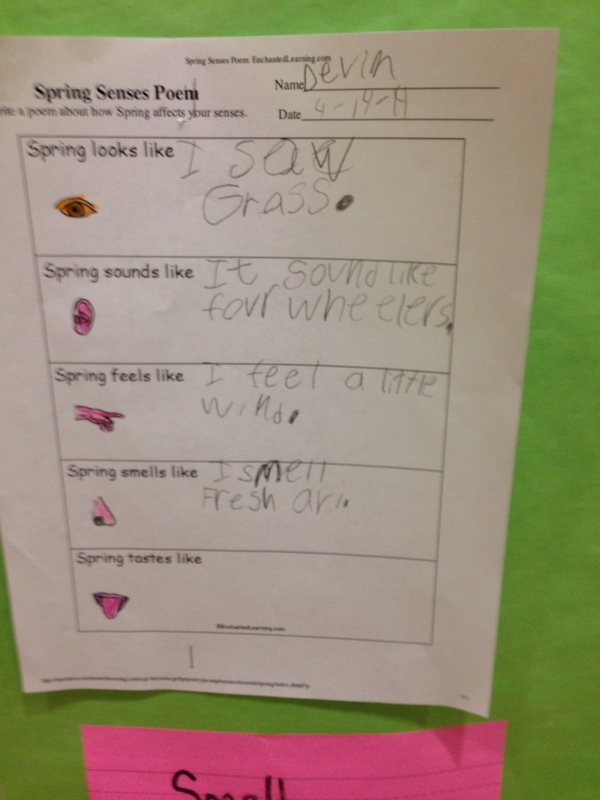 When we came back we wrote about our 5 senses in spring.